When you play with fyre, you are going to get burnt. The company and trademark owner behind FyreTV is suing Amazon for trademark infringement over its Fire TV. Both services provide streaming of video, akin to AppleTV, but FyreTV is meant only for adults. WREAL, LLC is a Florida company that first introduced its streaming video service in 2007. It was among the first companies to introduce streaming of video content over the Internet; WREAL only provides adult content for streaming. In associate with its steamy streaming, WREAL registered the trademark FYRETV. 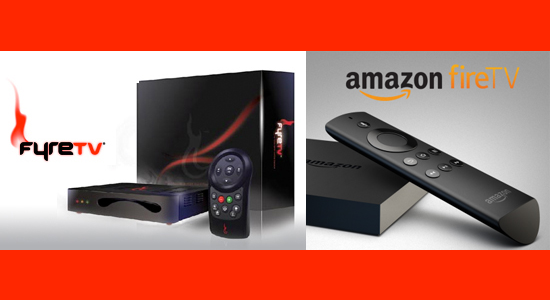 On April 2, 2014, Amazon launched its Fire TV product which similarly provides streaming video to its users. Amazon initially applied for the trademark FIRETUBE but that was rejected by the Trademark Office and Amazon went with the Fire TV name instead. I am proud to say that I never heard of FyreTV until today but you would think the makers of the same technology would have been aware of the FyreTV trademark especially since it was one of the first streaming services. In support of its claims, WREAL has claimed that the two services have already been confused. WREAL has sued for trademark infringement and wants Amazon’s product preliminarily and permanently enjoined; however, WREAL has not yet moved for such a preliminary injunction. WREAL also seeks monetary damages and attorneys’ fees. The stakes are big for Amazon as it is trying to compete with the likes of AppleTV and Roku for the ever growing streaming market. Amazon must hope to put out this trademark fyre quickly.